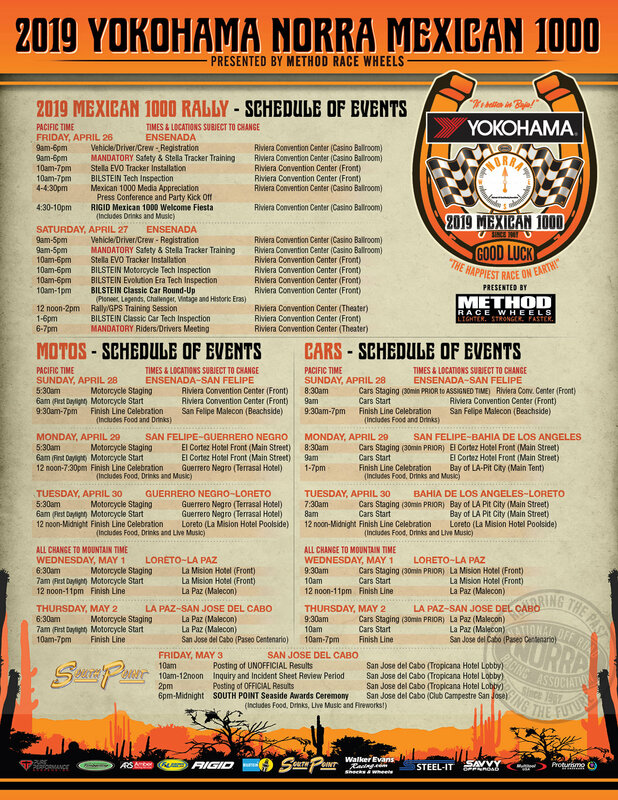 Agua Dulce, Calif The event we all know as the "Happiest Race on Earth" is just a few short weeks away from becoming this year's unforgettable Yokohama NORRA Mexican 1000 Rally presented by Method Race Wheels. 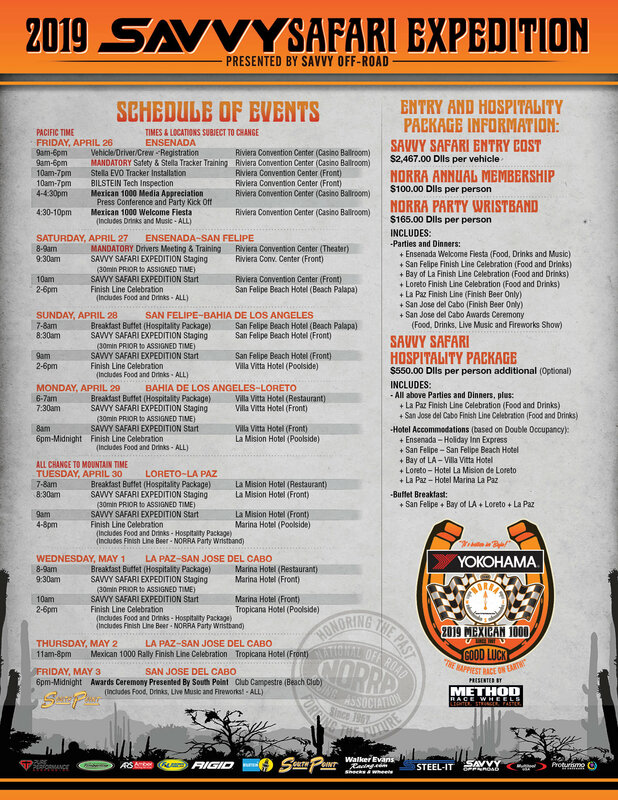 Today the National Off Road Racing Association (NORRA) released its official 2019 Schedule of Events for both the rally as well as the newly created Savvy Off-Road Safari adventure. Competitors can download print and full color versions of these important rally documents by clicking one of the direct links below. 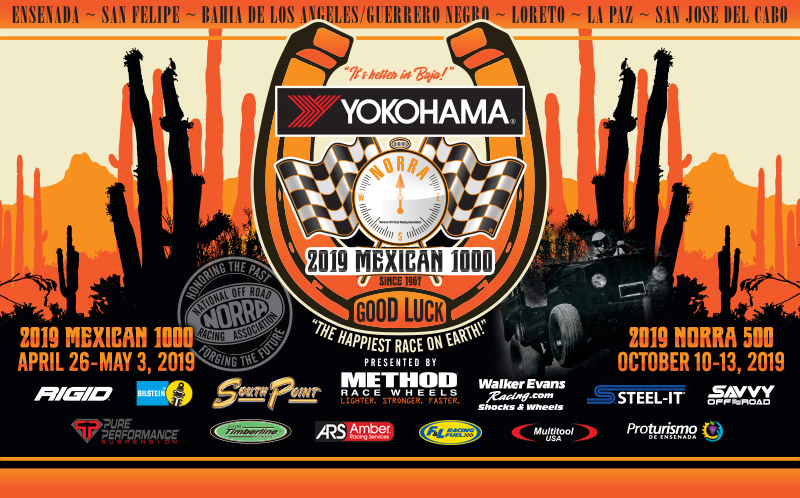 The coveted Mexican 1000 mileage and pits maps are also available for NORRA's family of racers to use in refining their support strategies and are available at the www.NORRA.com website. 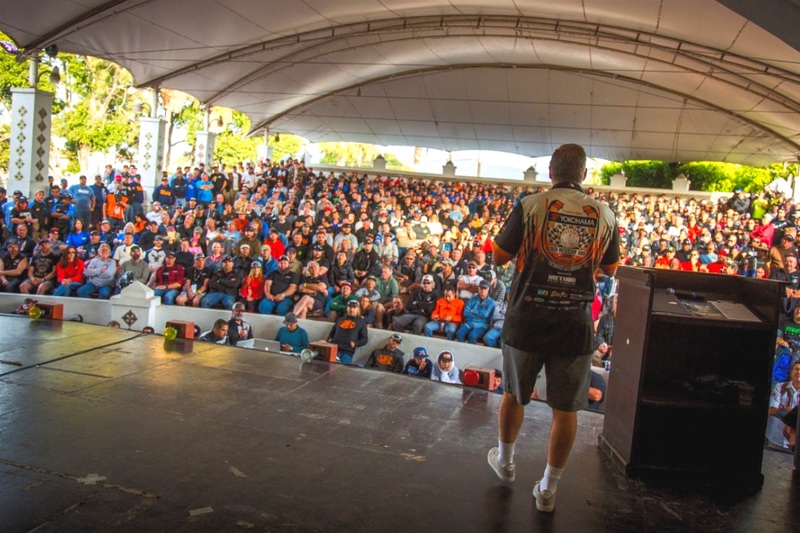 Stay tuned for more important rally updates and information as we all get ready for our annual NORRA family reunion in beautiful Ensenada, Baja, Mexico!